This animation shows the Cassini spacecraft approaching Saturn's icy moon Enceladus. It shows the highest resolution images obtained of the moon's surface. 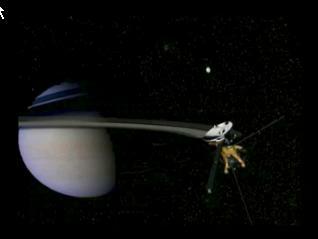 This is followed by a depiction of Saturn's magnetic field, which interacts with Enceladus' atmosphere and presumed plume coming from the south pole.